I tried out using my Tattered Angels glimmer mist - a technique that I have only tried once or twice before. I really like how it came out! 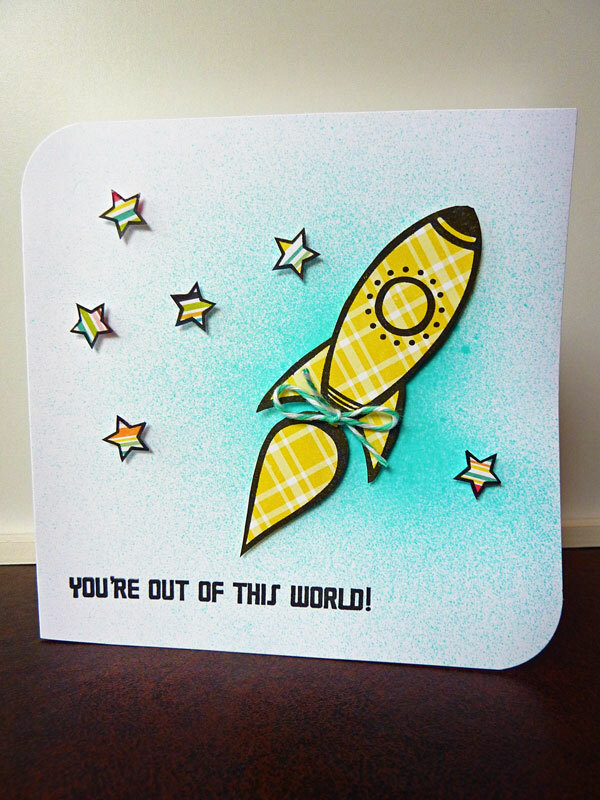 Then I used the set "Blast Off," stamped each part on pattern paper, then cut out and pop-dotted each piece on the card base. 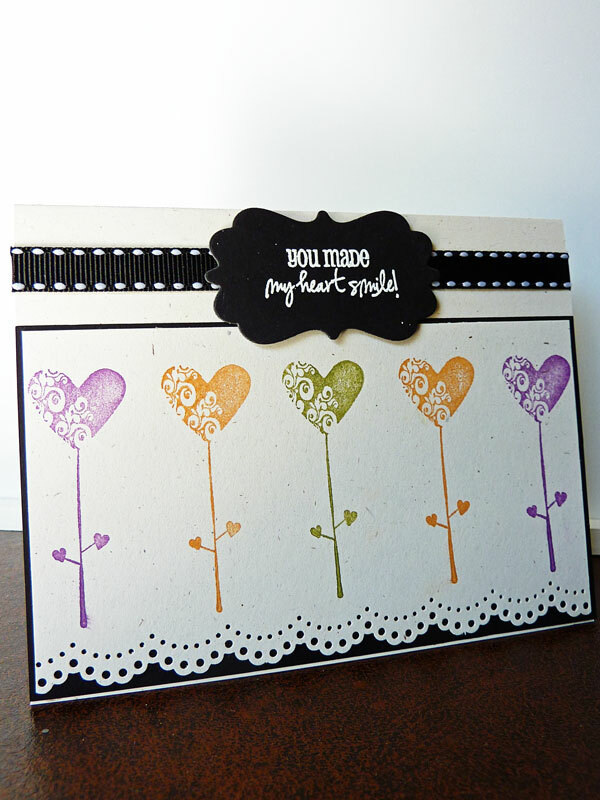 Rounded a couple of the edges, and stamped the sentiment on as well! Simple and quick - one of the best kinds of cards! Now make sure and head over to Market Street Stamps to join in on the fun! 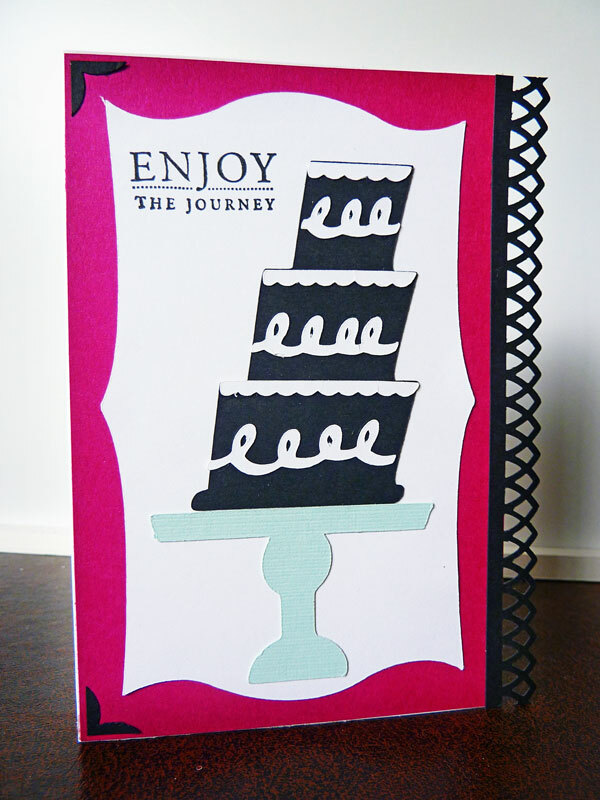 I used Elegant Edges to weld a card shape together, as well as for the frame. 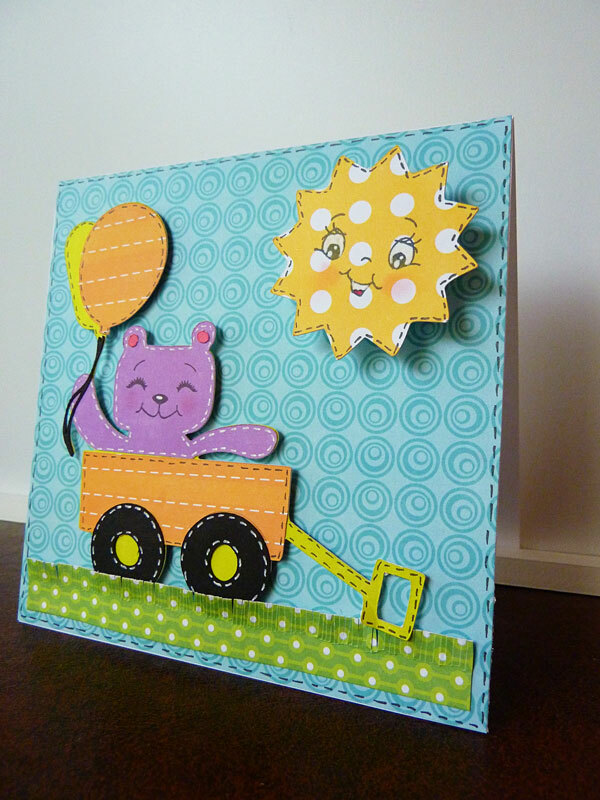 Ran the frame through my Cuttlebug with my favorite embossing folder - Swiss Dots. Inked the edges of each of those pieces. 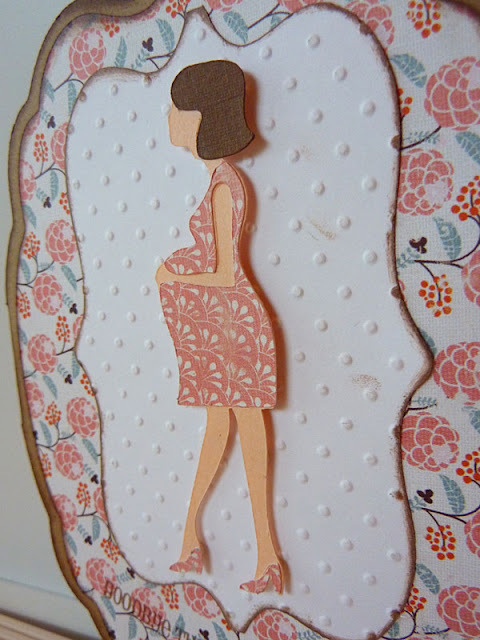 The cute pregnant mommy is cut from Everyday Pop-up cards. 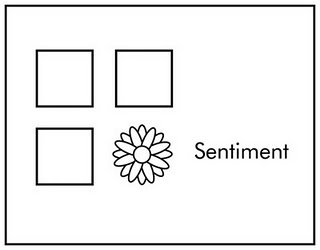 Love how simple that image is to piece together. Pop-dotted her from the background as well. The sentiment is from one of Emma's My Creative Time stamps - this is a huge part of why I bought this set! I thought it was such a cute sentiment! It doesn't show up as well on the pattern paper as I wish it did, so if you can't read it, it says "Goodbye Tummy, Hello Mommy." Isn't that sweet??? Thanks for stopping by again! 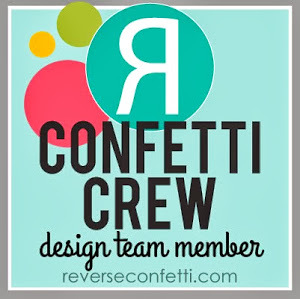 Make sure and head over to Cricut 360 to see what the rest of the design team put together, and to link up your creation for a chance to win this weeks prize! Can't wait to see what you make! 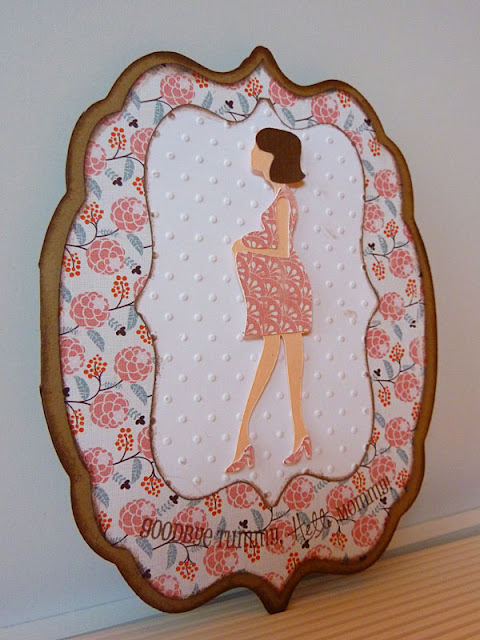 All images are from the September KOTM, and I added some doodling, some stick on pearls, and lots of faux stitching. Finished off with a Prima flower with a button and a bit of Baker's Twine. Thanks so much for stopping by! 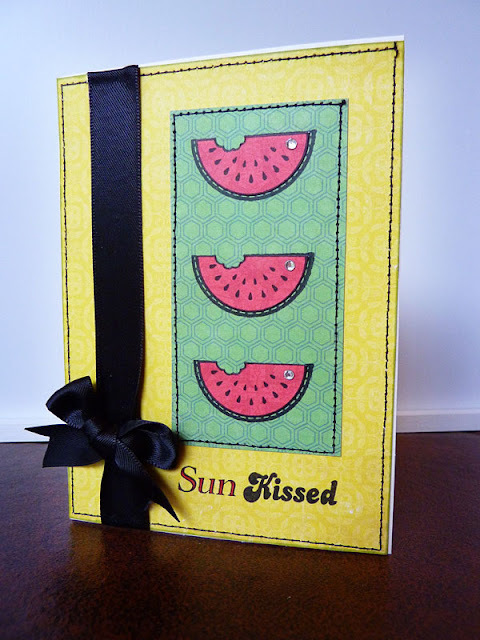 I will be canning tomatoes today, but I have a brand new card tomorrow for the brand new Cricut 360 challenge! Can't wait to share it with you - I LOVE how it came out! See you then! So, I actually made this a while back, and just kind of realized I hadn't posted it yet!!! 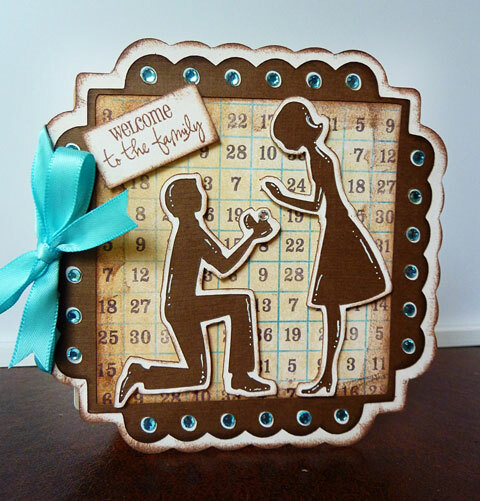 My husbands older brother finally proposed to his girlfriend several weeks ago, so I had to make her a card to welcome her to the family! I really LOVE how this one came out!!! 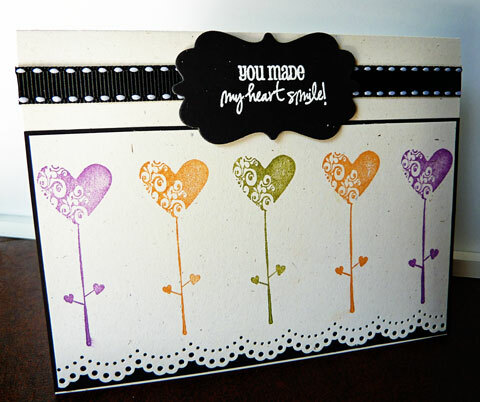 I used Elegant Edges to make the shaped card, and Sweethearts for the silhouette image. Added some doodling, and lots and lots of inking! Also pop-dotted the couple from the background. 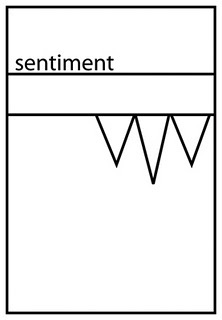 Isn't that sentiment from My Creative Time the best? 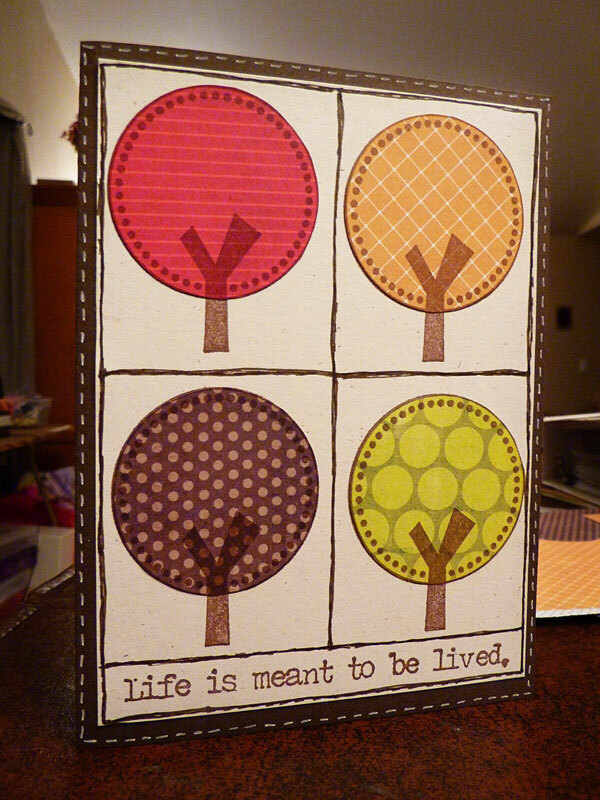 That is actually what inspired the whole card - amazing how having the perfect sentiment can do that! 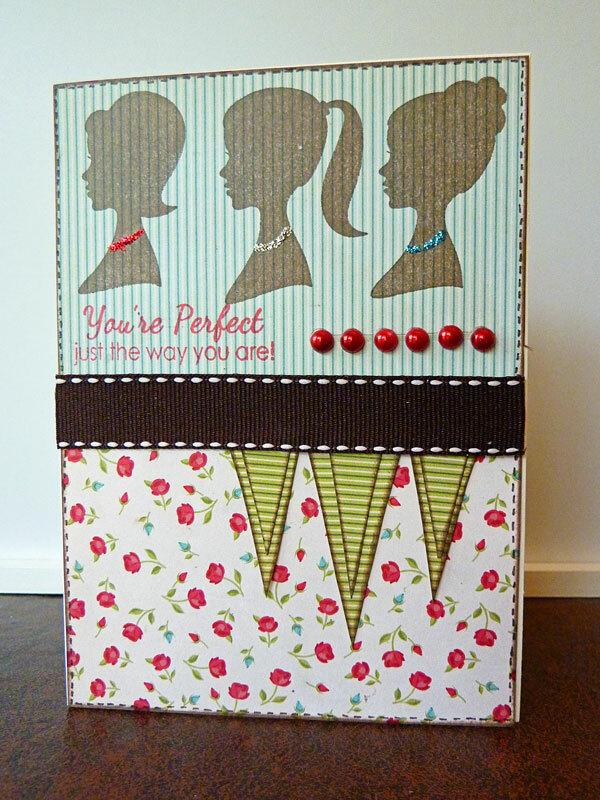 Finished off with a bunch of bling using my Jolee's heat set tool, and a little ribbon on the side. Thanks for stopping by! I am also entering this over on the Cricut Blog to celebrate World Cardmaking Day, as well as My Craft Spot and Celebrate the Occassion - both to use ribbon. My daughter's 7th birthday card!!! Wow...it is hard to believe how the time flies! Yesterday we celebrated my baby's 7th birthday! I still feel like a new mom in so many ways, but she is growing up so fast!!! 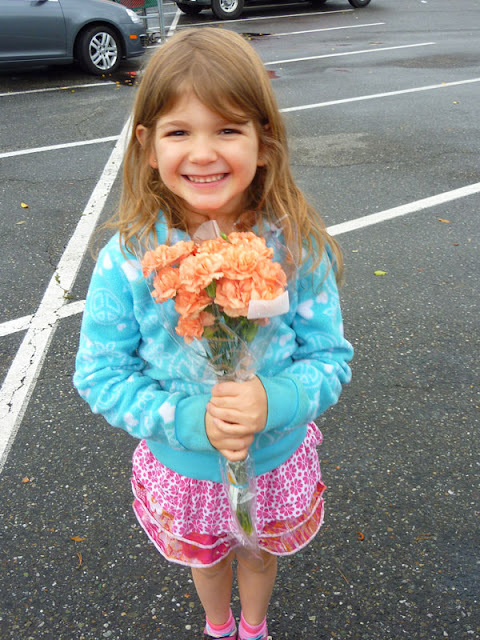 I asked her yesterday how she got so grown up, and she said: "It took years and years!" Hmmm..."How many years?" I asked. "About 20" she replied! Made me laugh! She figured it out after a few seconds though, and then laughed hysterically - she has the BEST belly laugh ever! Always has! Love her bunches! Here is a picture of her with her birthday flowers from Daddy - isn't she the cutest? Her current favorite color is orange (it changes every few days! 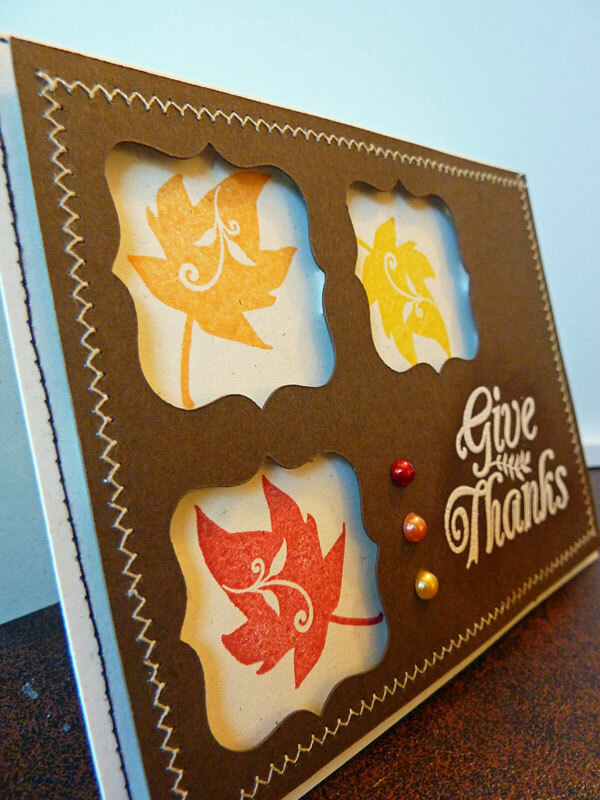 ), so I had to use some orange, and some of her other recent favorite colors! I used Birthday Bash for the bear and wagon, and Create a Critter for the sunshine. Added some Peachy Keen faces, and faux stitching. The grass along the bottom I just hand cut with my scissors - a little tedious, but worth it! I love the effect! 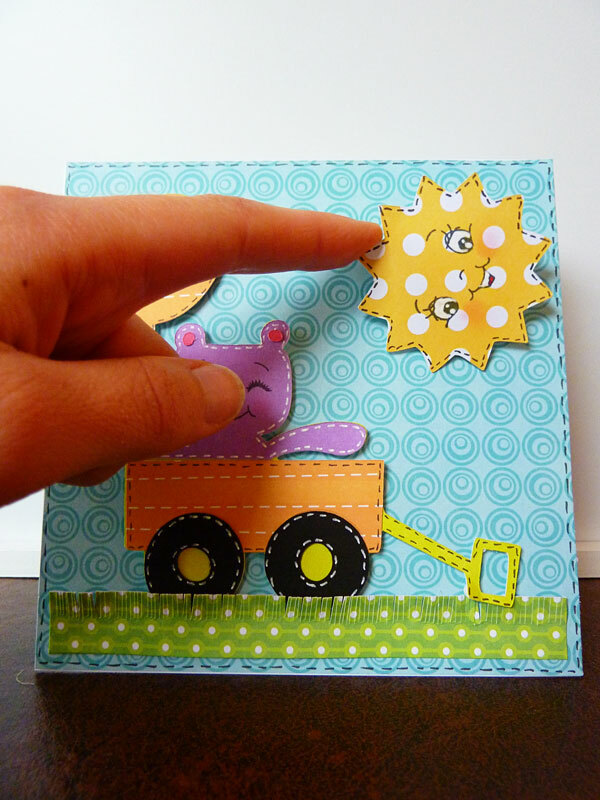 And...I had to put the sunshine on an action wobble! They are just so much fun! 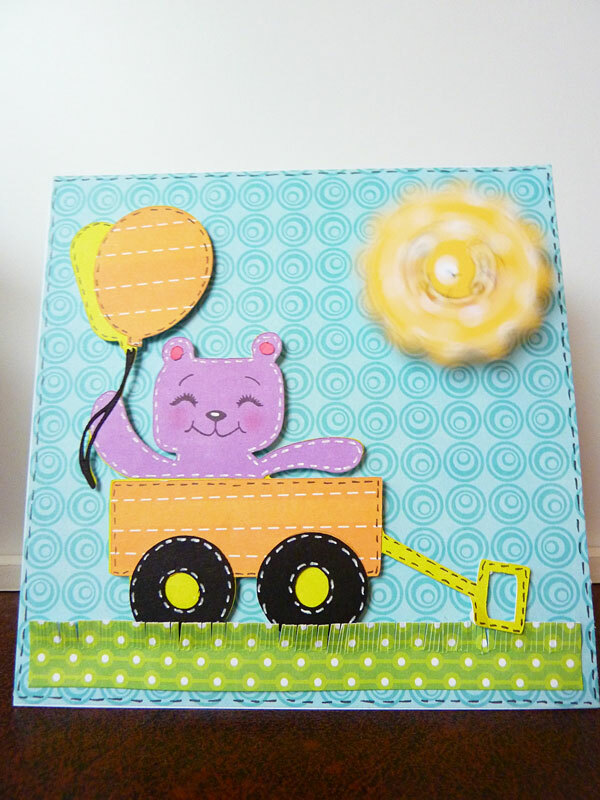 You can also see a little better in this picture, I pop-dotted the bear from the background as well. 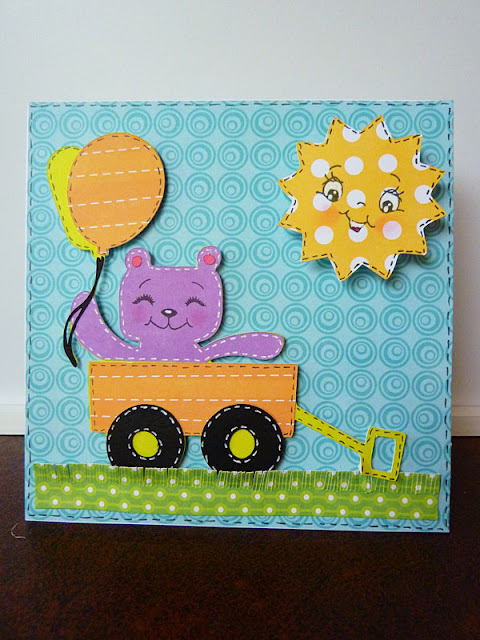 I am also entering this in two challenges: Peachy Keen's LFIF Sunshine challenge, and the interactive element weekly challenge over on the Cricut Circle Blog. Thanks for stopping by! And Happy Birthday to my sweet Amy!!! 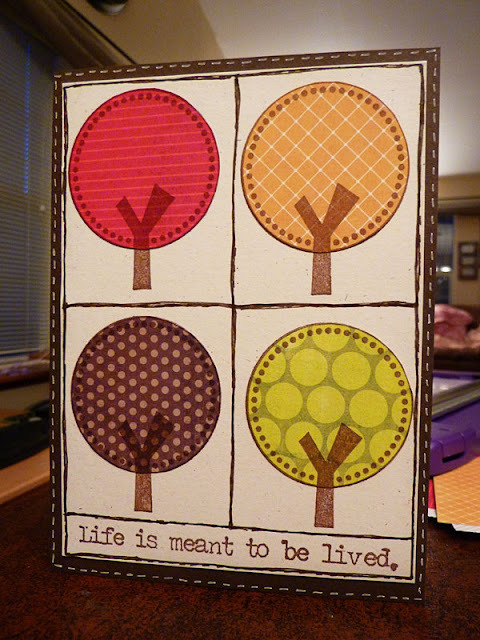 Well, since it really officially feels like Fall, I though I should probably share this card before winter hits! It is another one that has been in my stash for a while! 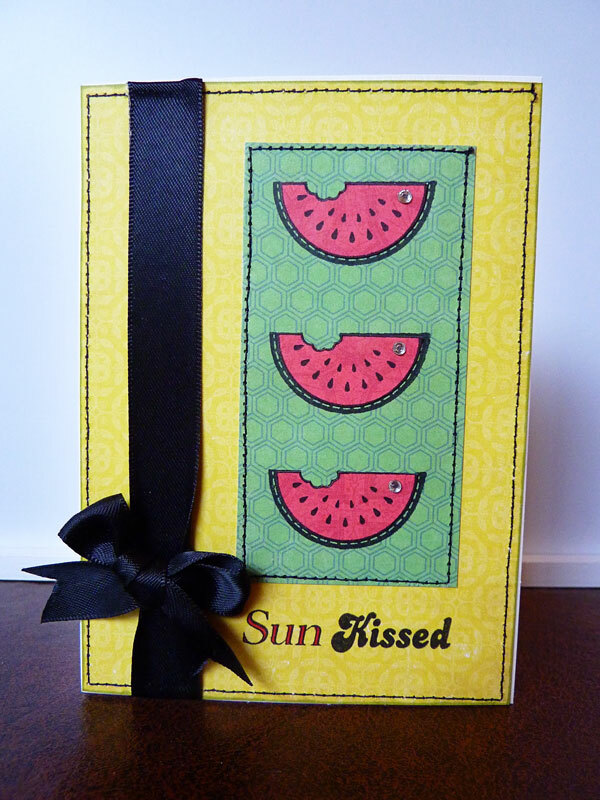 Used Unity Stamps for the watermelon, and did some paper piecing. The sentiment is from Scrappy Mom's stamps, with a bit of red copic coloring. Did some machine stitching, added some bling with my Jolee's heat set tool, and a satin ribbon bow to finish it off! 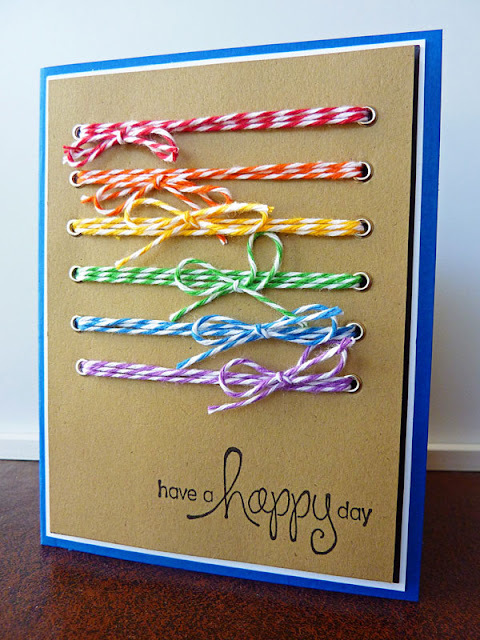 Now...I'm off to make a birthday card for my youngest daughter. My "baby" is turning 7 today! How can this happen so quickly?!?!?!? Time sure does fly - so make sure and enjoy every minute!!! 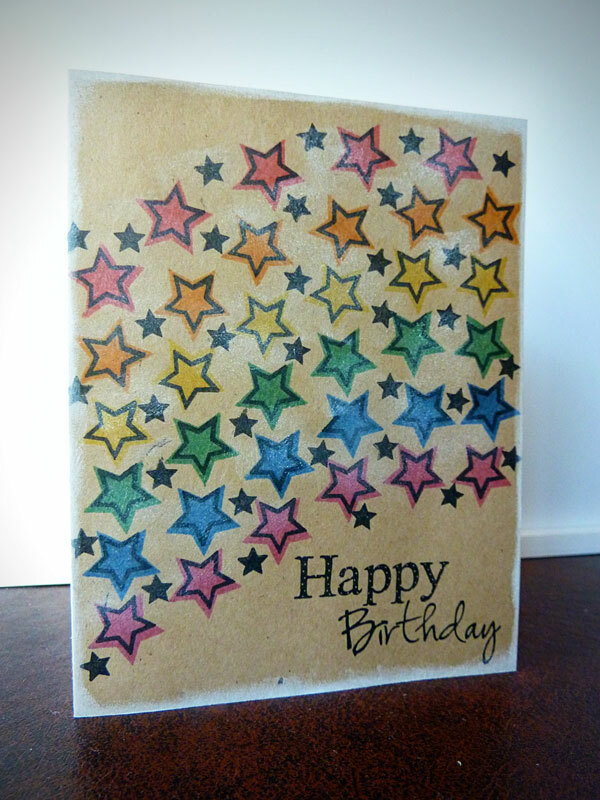 Rainbow stars - and a mistake! Well, I actually made this card quite a while ago, but it wasn't exactly my favorite! Actually, I really liked it, until the last thing I did to it - then I felt like I ruined it! Oh well, might as well share it anyway! I used the stars from a Market Street stamp set, stamped them in solid rainbow colors, then stamped the outline in black. 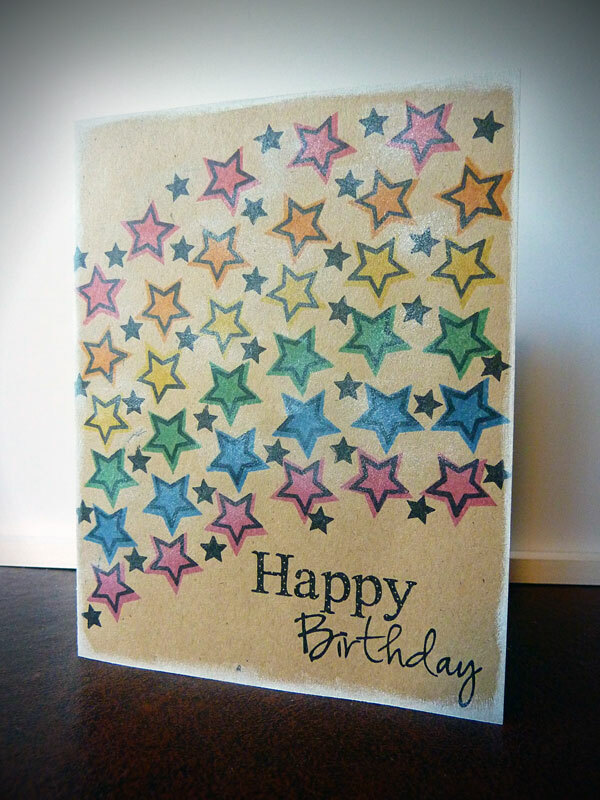 The outside of the card I used a bit of white ink on - and then what I wish I hadn't done, I rubbed a bit of white ink over the star rainbow. If I could just undo that - I would like this card SOOO much better! 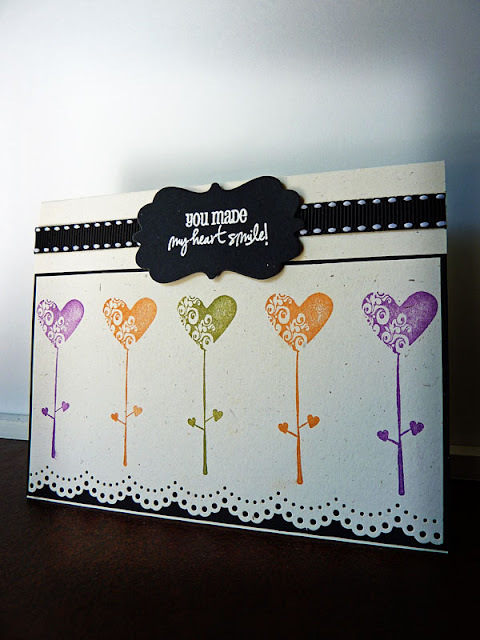 The sentiment is from My Creative Time - some of my FAVORITE sentiment stamps! Good morning! 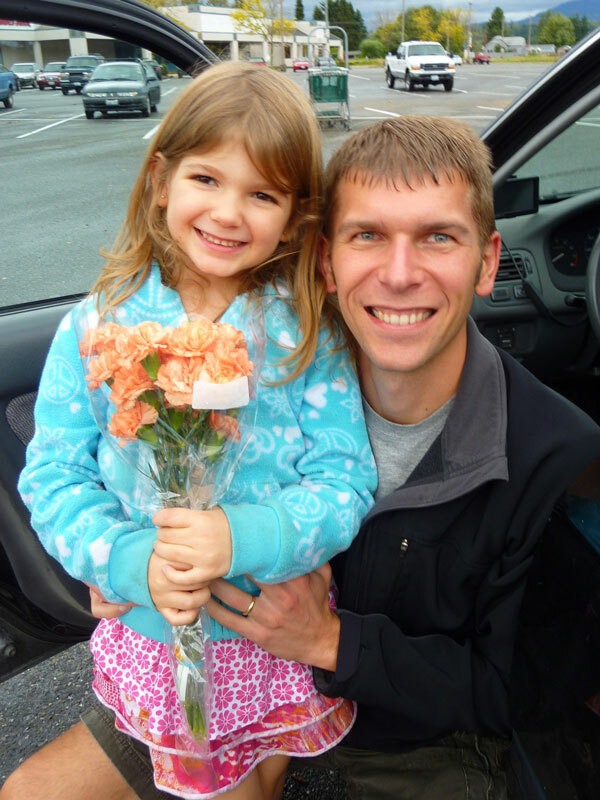 My hubby is doing well, but still home recovering from his minor surgery a week ago! So...I haven't had much crafty time, which means it is a good thing I have a stash I haven't posted yet! 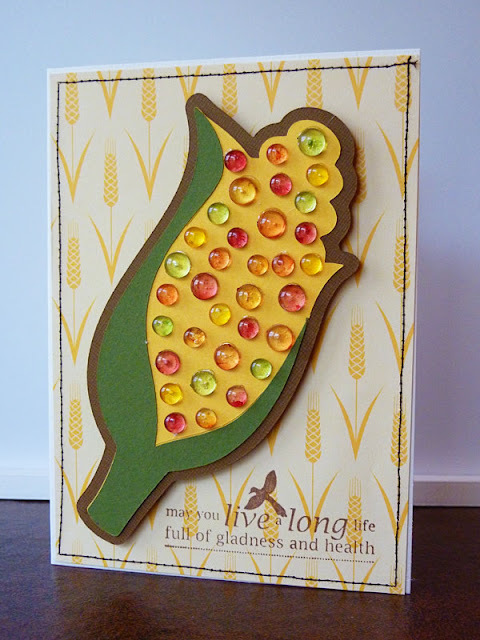 This was a card from a couple of weeks ago that I made for my Father-in-law. Thanks for stopping by and visiting!!! Hello! 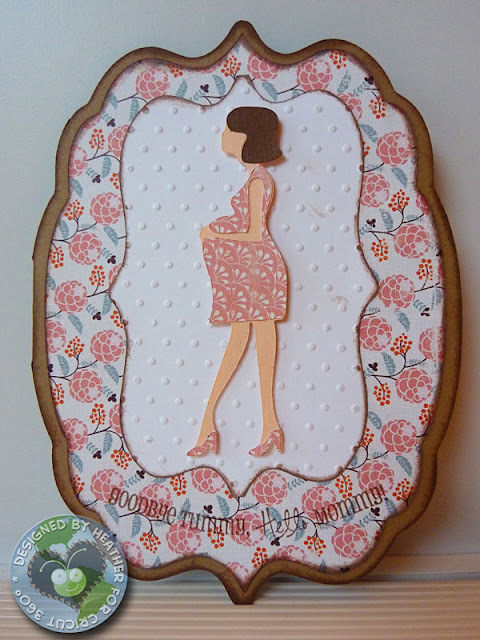 I have been waiting for a little bit to post this card, just so that it didn't get spotted by a friend whose baby shower was yesterday afternoon! 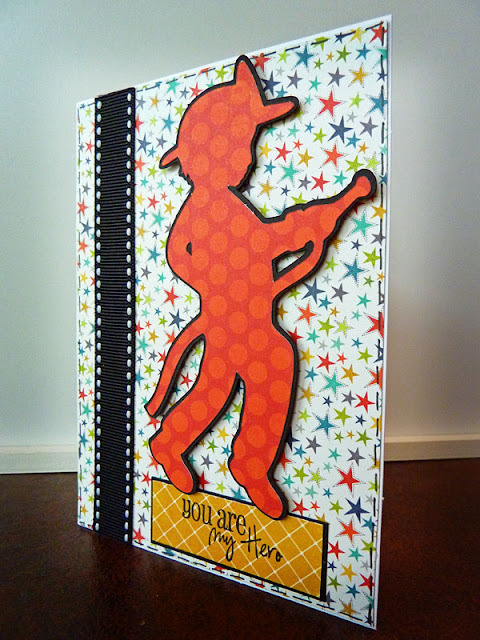 This is actually one of the cards I made for the Papercrafts Magazine Submission call that also wasn't chosen. I figured if it was accepted, I would just make another one for my friend, and not post it online! But since it wasn't accepted, I had it all ready to go! The background was made by stamping two different Unity Stamps, each in a different color. The first one (Tea Time Pattern) I did in pink, then I stamped the Worn Music Background over it in black. 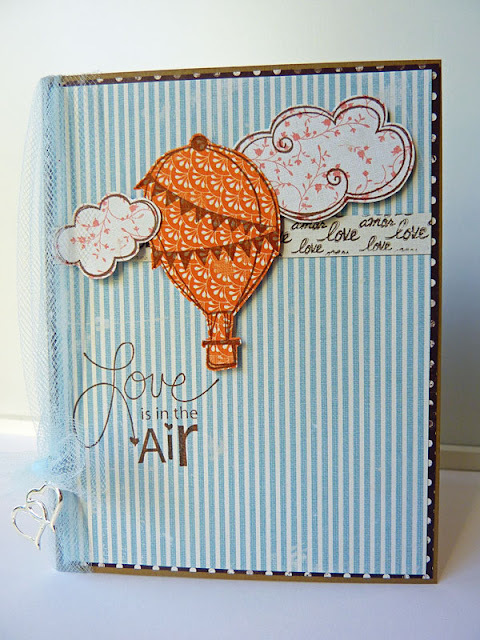 The sentiment is also from Unity Stamps, on a tag cut from Sentimentals with a bit of pink Copic to highlight it. 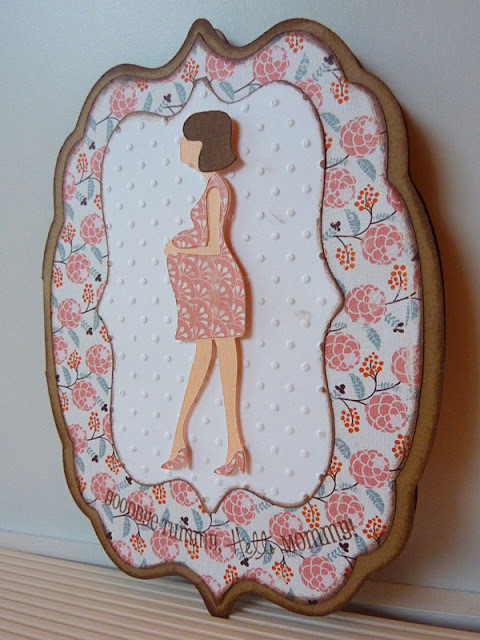 I cut the fancy frame from Sentimentals, and the silhouette is from A Child's Year. 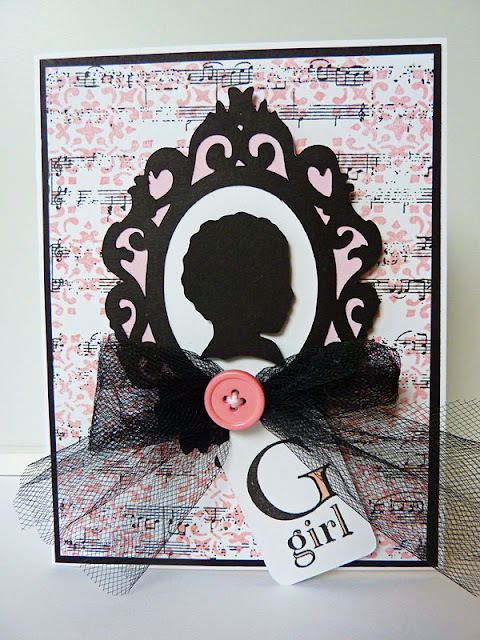 Add a tulle bow to tie the tag on, and finished with a button and a bit of Baker's Twine. 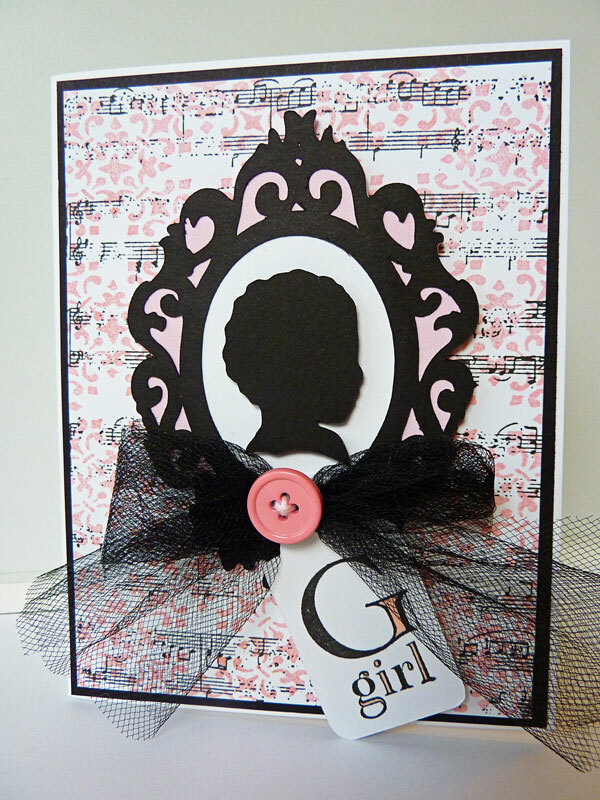 The silhouette and the frame are both pop-dotted from the background too. I am also entering this is the Made It Myself Monday linking party over at You Had Me At Craft. 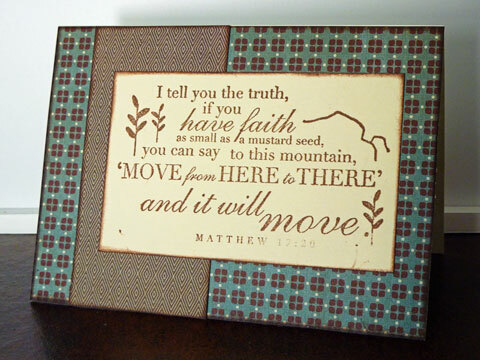 Thanks for stopping by - hope your week is off to a great start!!! 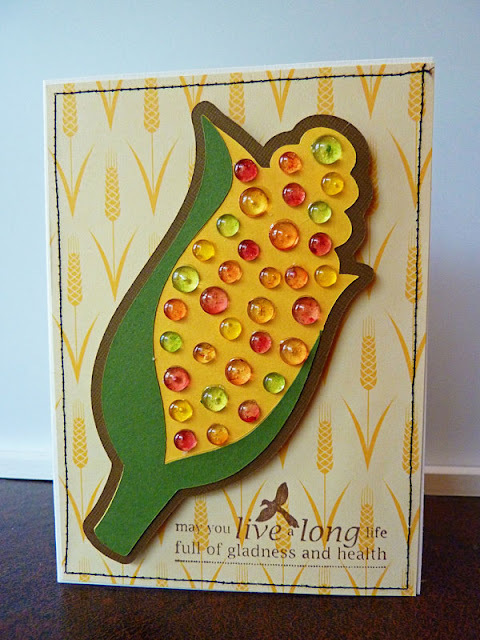 I used the corn cut from Country Life, only instead of cutting out all the layers, I layered it with a bunch of colored dew drops using zip dry glue! Love the effect it had! 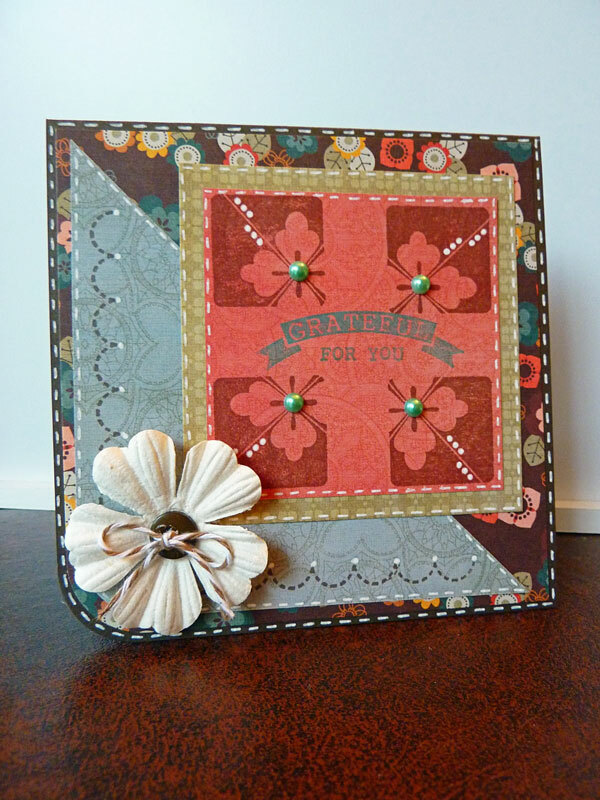 The sentiment is from Unity Stamp Co. and I added some machine stitching around the card to finish it off. Oh yes, and the corn is pop-dotted off the background as well - just for fun! Thanks for stopping by today! Now, head on over to Cricut 360 to link up your own creation for a chance to win this weeks prize - and be entered in the grand prize for the month! Can't wait to see what everyone creates! 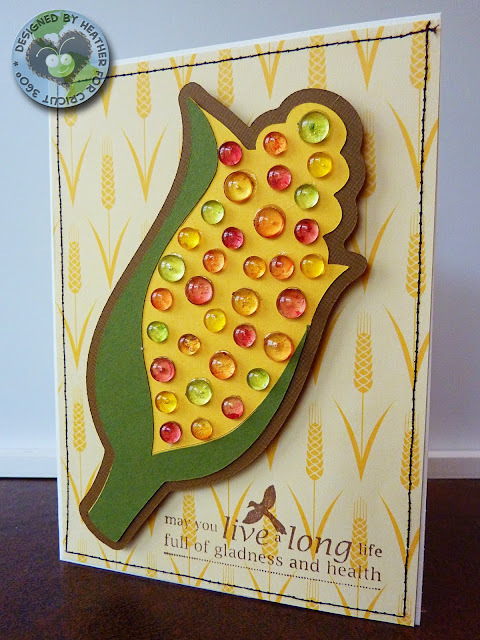 Well, last week was CRAZY, and I missed out on Friends with Flair over at Unity Stamp Co - but even though this week was crazy as well, I have another card that I put in for the publication call and wasn't selected. So...looks like I am all set! Lots of patterned paper, balloon and clouds pop-dotted, and some tulle and a charm to finish it off! 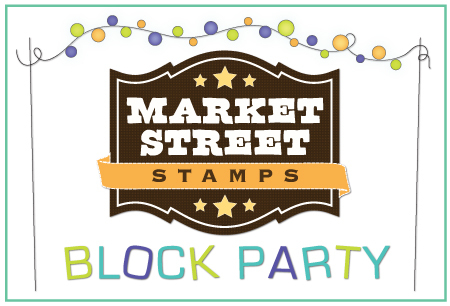 Hope you join in on the fun HERE and the chance to win some fun stamps!!! So, once again I submitted some cards for the publication call at PaperCrafts Magazine. This was only my second attempt, and with over 1,300 cards submitted and only 100 spaces open, I was once again not to surprised or disappointed to not get any picked up. However - it won't stop me from trying again! 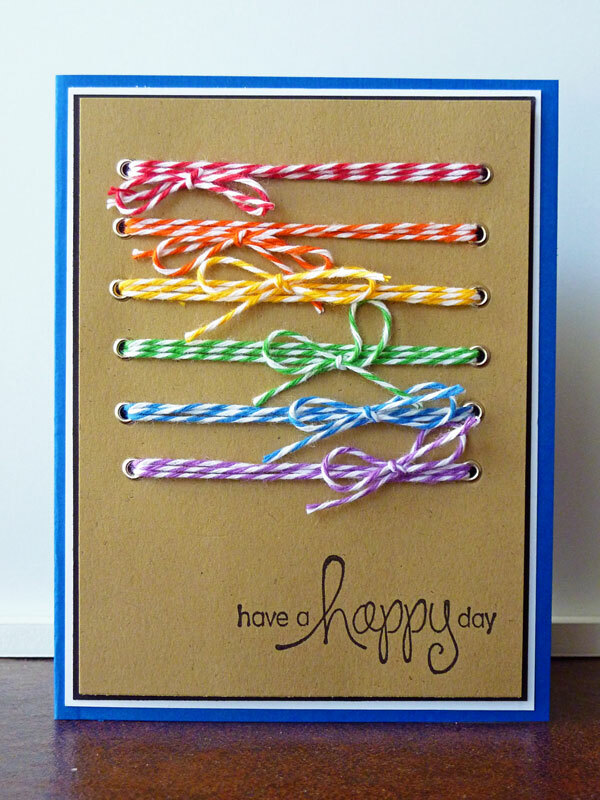 And either way - I had lots of fun making these! I ran eyelets down the side of a card, threaded through rainbow colors of twine, and tied them in bows. 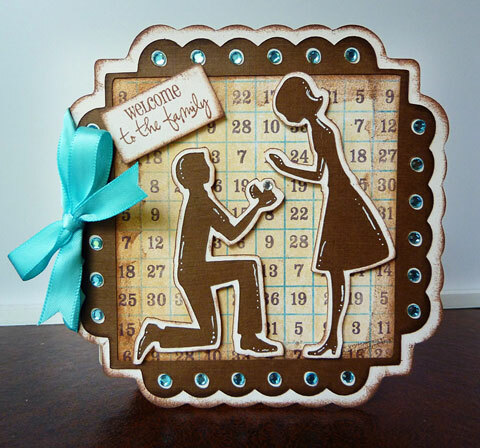 The sentiment is from Unity Stamp Co. 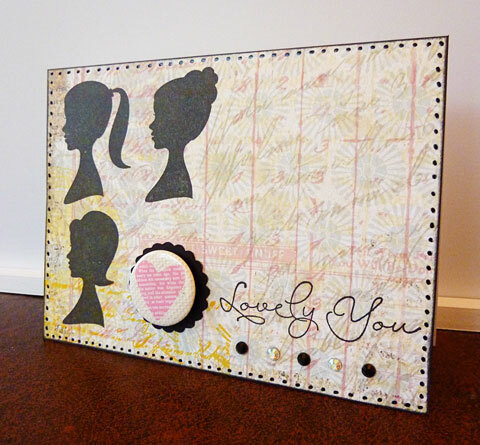 The front layer is pop-dotted and matted on black, white, then the blue card. Thanks for visiting! Can't wait to see everyone elses projects!! 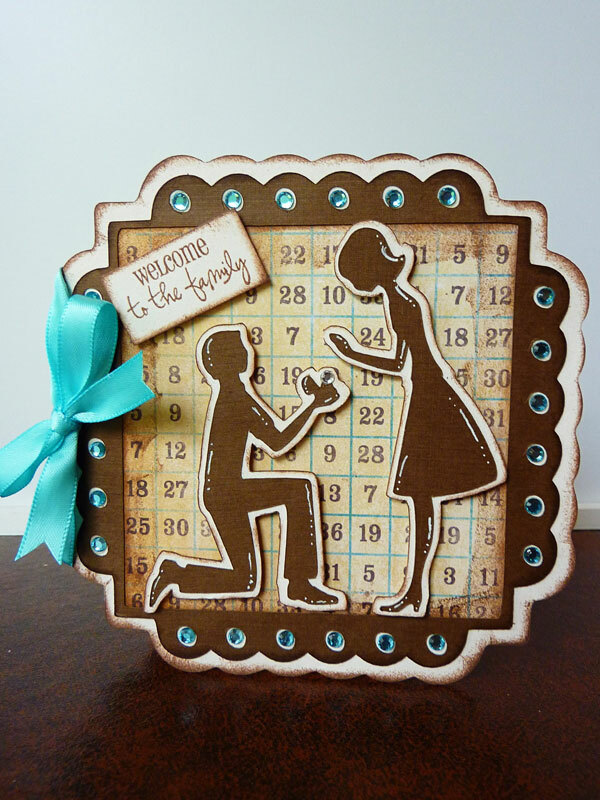 I used the silhouette images from Hero Arts, the small metal pin from Pink Paislee mounted on a scallop circle cut with my Cricut, a sentiment from Unity Stamp Co., and some bling using my Jolee's heat set tool. Did tiny dots around the edges with a Sakura glaze pen to finish it off. I added some necklaces using Stickles, a stamped sentiment from Scrappy Mom's Stamps, some stick on pearls, a bit of ribbon, and a lot of inking! Finished off with a bit of faux stitching around the edges. 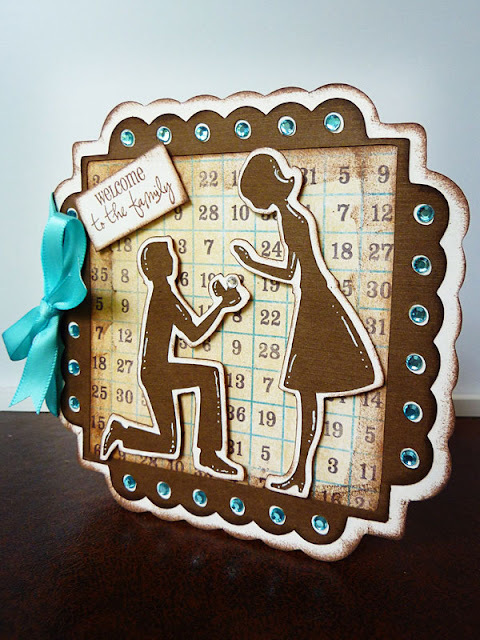 A wedding card, and some EXCITING news!!! I used a cake from Sweet Treats, skewed it a bit on my Gypsy so it tilted to the right, and put it on a cake stand from Straight from the Nest. 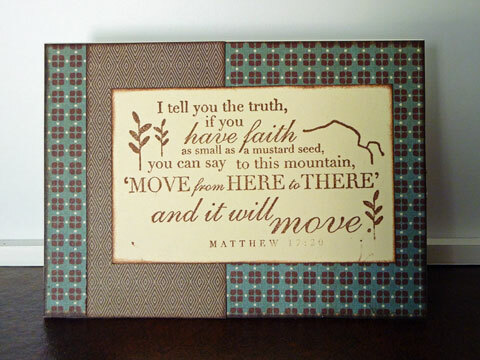 The frame is from Elegant Edges, and the edge punch is a Martha Stewart border punch. Sentiment was a random one from my stash...not sure who it is by. I had a REALLY hard time making the picture show the right color, but it really is a pretty and bright pink! So...now for my exciting news!!! I actually have a bunch of exciting things coming up in October - can hardly wait!!! 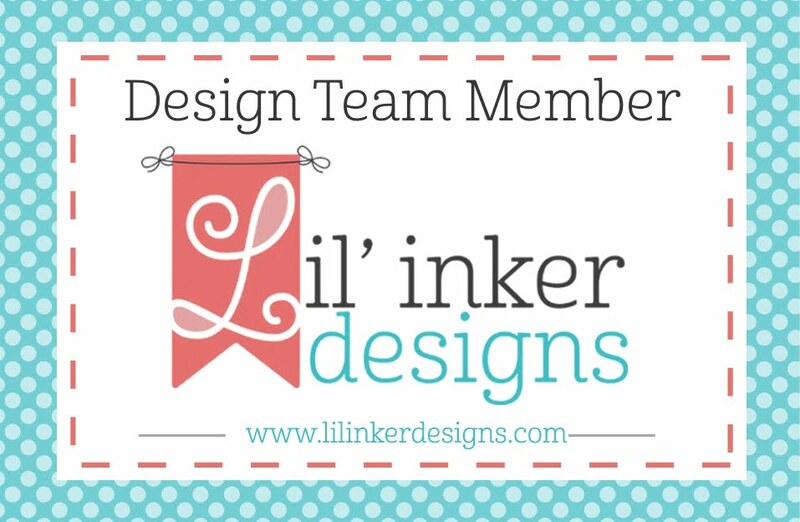 First, I have been keeping it under my hat, but am now free to share, that I was asked to be a guest designer for Scrappy Moms Stamps for the month of October!!! I also have my guest design week for Peachy Keen Stamps during the week of October 17- 21! And I know I will have a giveway that week also!!! 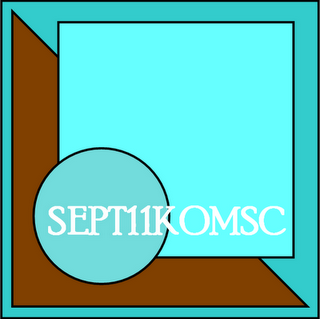 And finally...October 20th is my 1 year Blogaversary!!! I have had so much fun over this past year and enjoying this journey and all the new friends I have met!!! 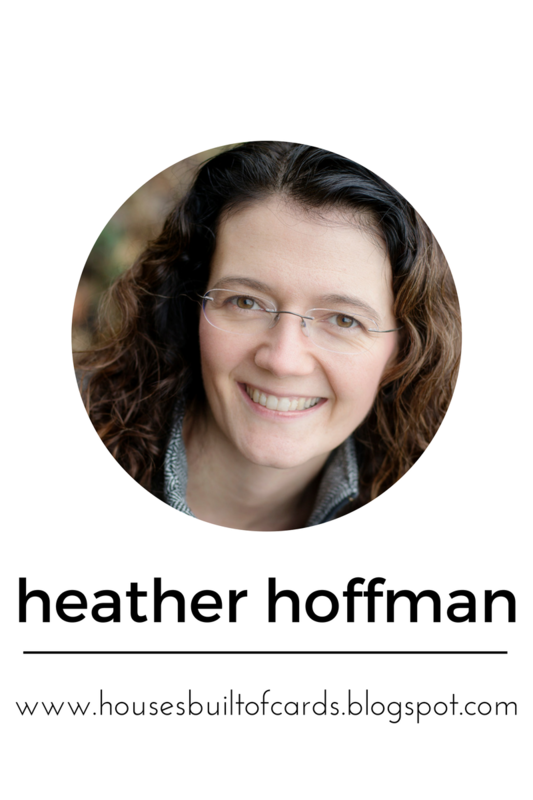 So I have been collecting a BUNCH of my favorite things to giveaway to celebrate that! 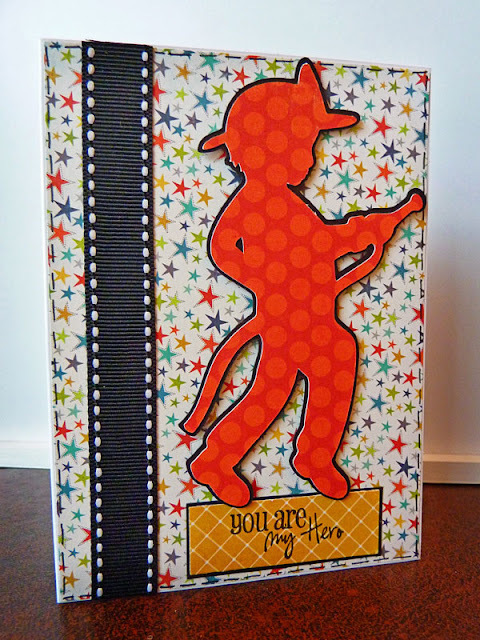 You'll have to wait until then to see everything, but I already have a Cricut cartridge, some Peachy Keen Stamps, some Unity Stamps, some paper pads...really a bunch of my favorite things that I use all time and want to share with you!!! So...now you know to be ready for that! I will probably do it the weekend or week after my Peachy Keen guest design week, just because it might get a little crazy otherwise!!! I used A Child's year for the fireman cut, and pop-dotted it from the background. 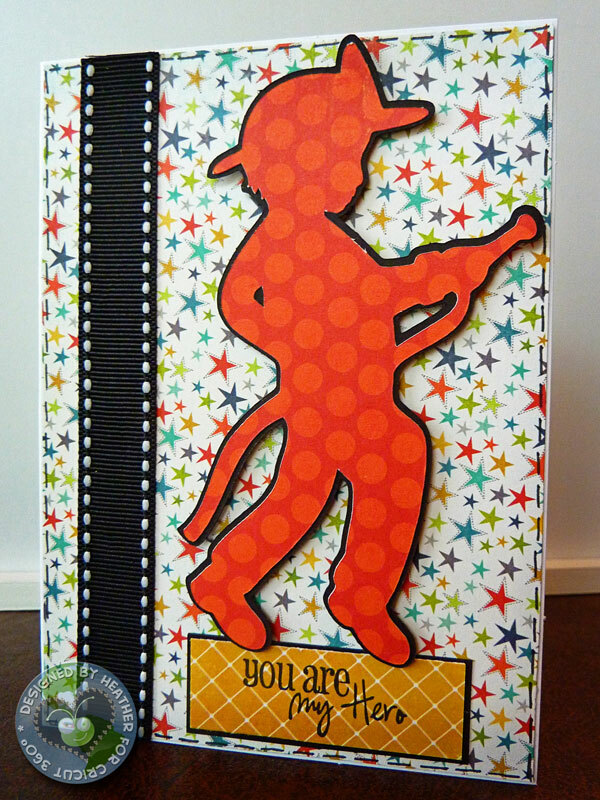 The sentiment is from My Creative Time's "You're My Best Buddy." Added just a simple piece of ribbon and some faux stitching around the edges to finish it off. So...click HERE to go link up your hero creation for a chance to win a fabulous set of stamps! Patches of Pink - September "Fall" post! Hello! Hard to believe that it is September already, and time for another Design Team post with Patches of Pink!!! Come check out this week's Linking Party - it's all about Fall, and all the lovely colors that go along with that! I used a Unity Stamp for the tree, and paper-pieced it with some yummy papers by My Mind's Eye - more of the 6x6 paper pads that I LOVE!!! 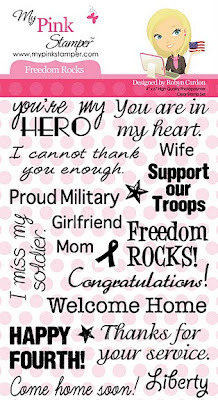 The sentiment is also from Unity Stamps. I added some doodling to make it look like a window frame, and some stitching with my white gel pen around the edges. 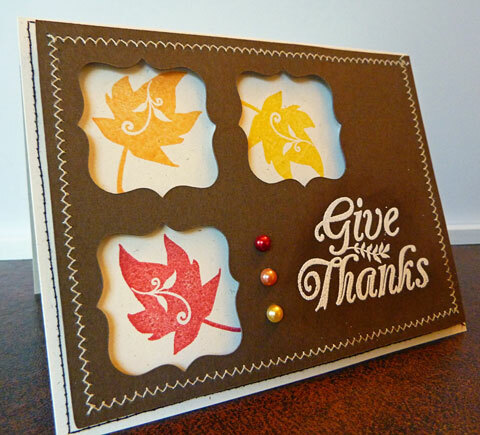 Now make sure and head over to Patches of Pink to link up your own Fall themed creation! Can't wait to see what you come up with!!! I stamped the heart in the three colors, used a Martha Stewart edge punch along the bottom, then matted it in black. The sentiment is heat embossed in white on Emma's Curly Label die. Added some stitched ribbon for the finishing touch! Good morning! I hope everyone had a lovely holiday weekend! I managed to get a tiny bit of crafting in here and there, mostly did lots of cleaning! Cleaned out our "wreck" room (I mean, "rec" room!) with my hubby's help - since I needed someone to vanquish the spiders so I could clean! Then he put his back out, so we laid kinda low for the rest of the weekend. 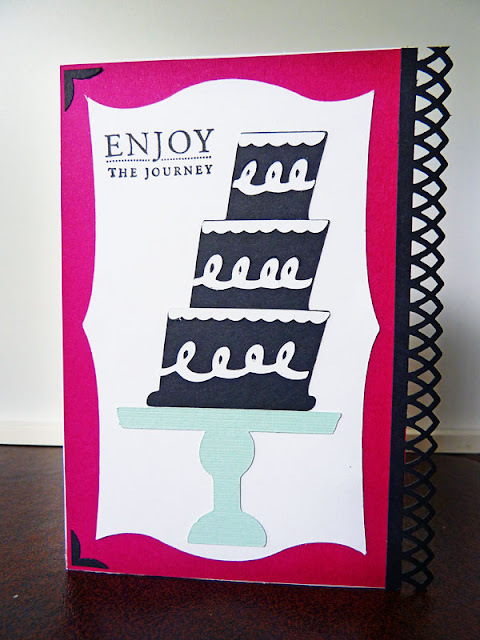 I used my Cricut and Gypsy to cut out the card front using Elegant Edges cartridge. 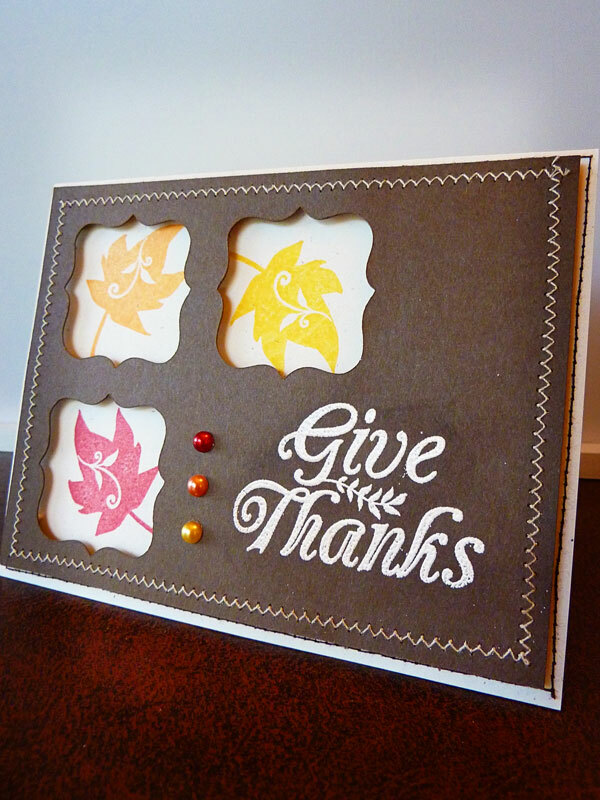 The leaves behind the windows are from Unity Stamps, as is the sentiment. 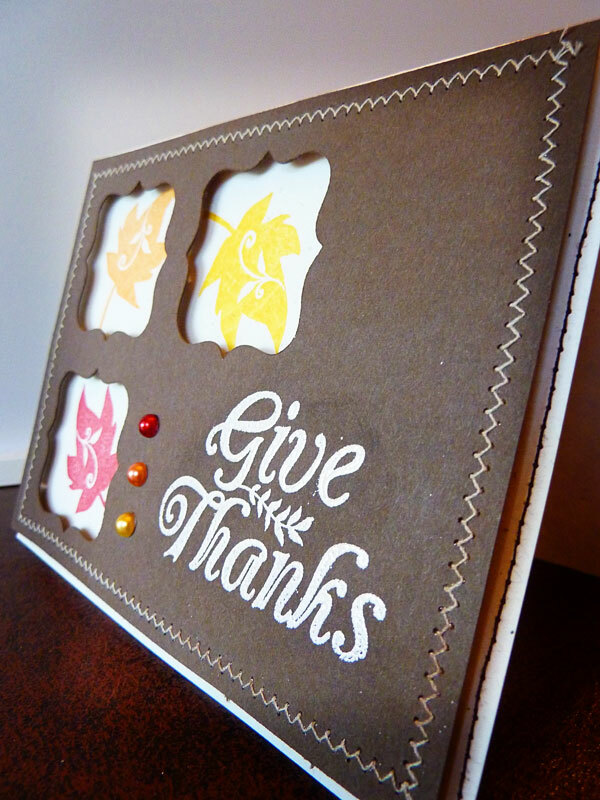 I heat embossed the sentiment with white embossing poweder, and added some stick on pearls next to it. Finished off with some machine stitching, and pop-dotted the frame from the background so that the leaves look like they are really through a window. Unity FWF - Looking Good!